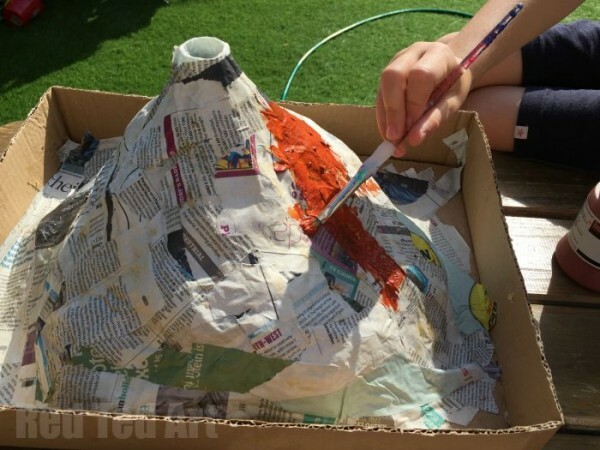 Today we are sharing our very own Papier Mache Erupting Volcano, it was a relatively “quick project” that we made in a “last minute” hurry to celebrate my son’s “Hawaiian Day” at school. 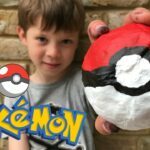 My son has been learning all about the Hawaiian Volcanoes – in particularly Mauna Loa and was very excited to recreate a volcanic eruption. 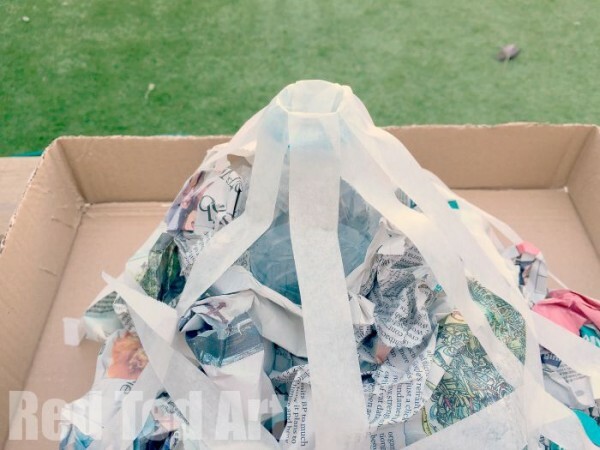 Our papier mache volcano is perfect for the classic “Science Fair” project, if you are looking for a science project to make with the kids. 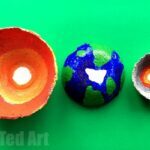 So long as you have enough “drying time” for the papier mache, this is a quick and fun science fair project to make. 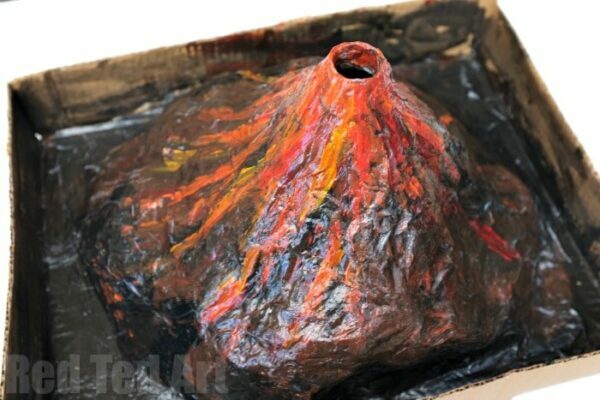 We added a coat of varnish to our volcano, to allow us to keep erupting it! 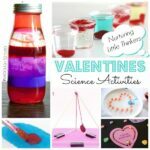 Check out more fantastic Chemistry Experiments for kids over on my friend’s site Science Sparks! 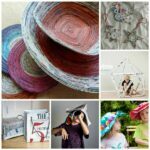 Check out our basic how to make papier mache post too! Mauna Loa is one of five volcanoes that form the Island of Hawaii in the U.S. state of Hawai?i in the Pacific Ocean. The largest subaerial volcano in both mass and volume, Mauna Loa has historically been considered the largest volcano on Earth [Red Ted’s favourite fact!]. It is an active shield volcano with relatively shallow slopes, with a volume estimated at approximately 18,000 cubic miles (75,000 km3), although its peak is about 120 feet (37 m) lower than that of its neighbor,Mauna Kea. Lava eruptions from Mauna Loa are silica-poor and very fluid, and they tend to be non-explosive. Find out more about Mauna Loa via Wikipedia. Pop into microwave and cook at full heat. Performances of microwaves vary – so this can be anything from 30sec to 2-3 min – depending on microwave and the amount of mixture you are making. So keep checking and stirring! The mixture will be hot, so you may have to let it cool down a little. It will keep in the fridge with a cover for 1-2 days. 1) First we cut down our cardboard box, to create a base for our volcano to go in and to capture the fluids from the erupting volcano. You may want to cover all the holes you can see (especially in the corners) with additional tape. 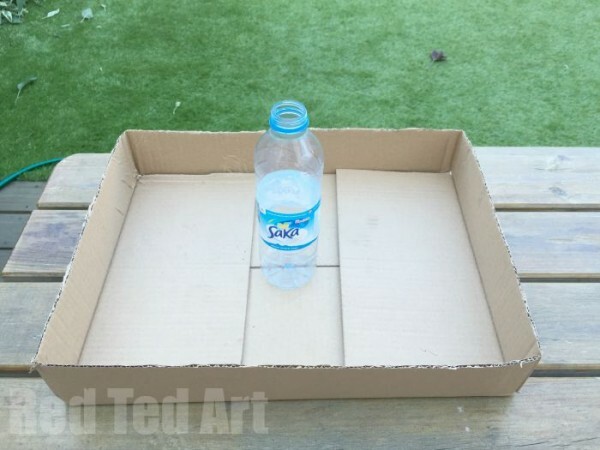 2) Place your empty plastic bottle in the centre of your cardboard box (remove the lid). 3) Scrunch up some newspaper and place it all around the bottle. 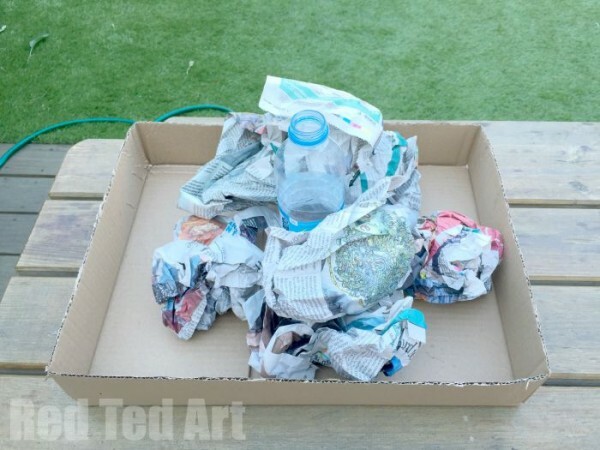 4) Using your masking tape, make a “frame” – running from the top of the bottle down to the cardboard platform and trapping the scrunched up newspaper underneath. 5) Tear your remaining newspaper into stripes and smaller pieces (12 x 4cm ish is good). 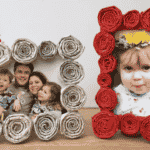 And start applying your papier machie layers all around the volcano – using the masking tape as a frame. 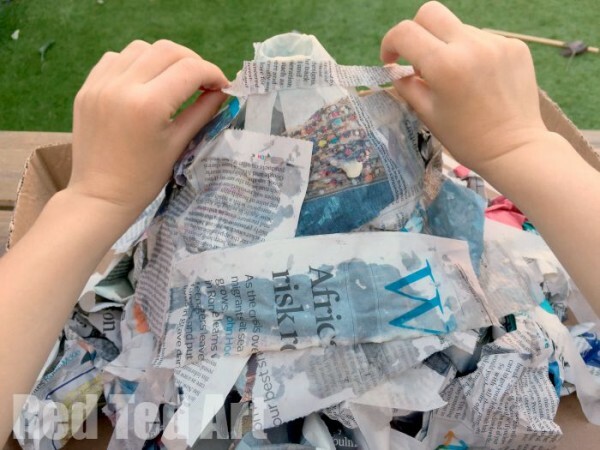 6) Check for any gaps and holes and make sure the newspaper is nice and flush against the side of the volcano. 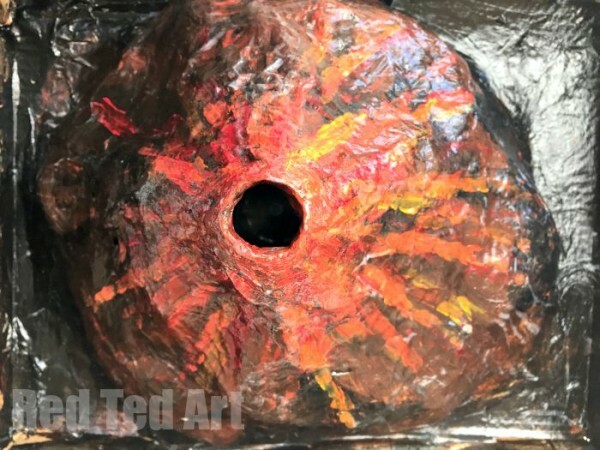 8) Now get creative and paint – we used a dark brown base (mixing brown and black) for our volcano and then at the end added some red and yellow lava streaks. The kids were stoked! 10) Finally… add a coat of waterproof varnish (any craft decoupage varnish that has a waterproof finish will do). This won’t make the volcano totally waterproof, but will certainly help in preserving it. I LOVE this article about the Science of Erupting Volcanoes – and how the “order of things” affect the final eruptions! I am keen to try out the mentos and diet coke at some point soon! Poured in approximately a class full of (inexpensive) vinegar. Looks fun! Is that the same as baking soda in the states? When you’ve made the masking tape frame do you then coat the smaller ripped pieces of newspaper in the flour mix and place around the frame or do you brush on the mix? 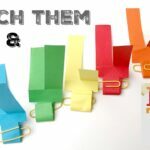 Sorry silly question I know but I want to try this project with a group of boys I work with developing their language skills so correct instruction are important ? Not a silly question! We dip the newspaper strips in the glue mixture and then place on. Just wanted to say a very big THANK YOU. My daughter had to do a volcano for school and we followed your guide. 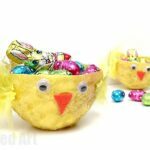 It turned out brilliant and was great fun to make. Your a life saver, thank you. Awww so pleased to hear it!! YAY! 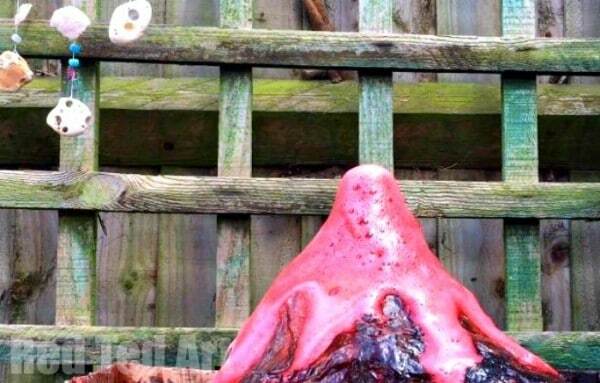 Hi,the volcano project and ur explanation are awesome.Me and my son are making this volcano project for his school and ur guidelines helped us to build the volcano and now we r in the stage of painting so I would like to know which waterproof varnish u used. To be honest, used what you can find in your local shops!! Enjoy!